Teaching your kids basic financial skills early in life will help them to establish good spending habits that will see them through university and beyond. It's particularly important to send clear messages about how your child can manage their cash-flow, but it's not always easy to know where to start. To give you a helping hand, we've put together a quick guide to the four cornerstones of personal finance, to show you a simple way to prepare children for financial independence. It may sound complicated for children - and lots of adults! - but budgeting is really the key to managing your finances. Giving children a small allowance each week is a great way to teach this, as they'll get used to having a finite amount of money over a fixed period. Always try to give the allowance on the same day and explain that this is now their money for the week and they can choose either to spend it or save it. You can also use our money management software as a handy visual aid to show kids the principles of how to budget effectively. It's important for children to learn that it's not always possible to get what they want immediately. With a weekly allowance, you can even make saving up into a fun game. Make a colourful savings jar where your children can decide how much of their allowance they would like to save, but much like a piggy bank, ensure that it's easier to put money in than take it out. Next, talk to your child and identify something that they would like to save up for. Work out together how much to save each week and how much money to put into the jar so that they reach their target amount. You can also make saving more exciting by having a little celebration when they get to their goal. 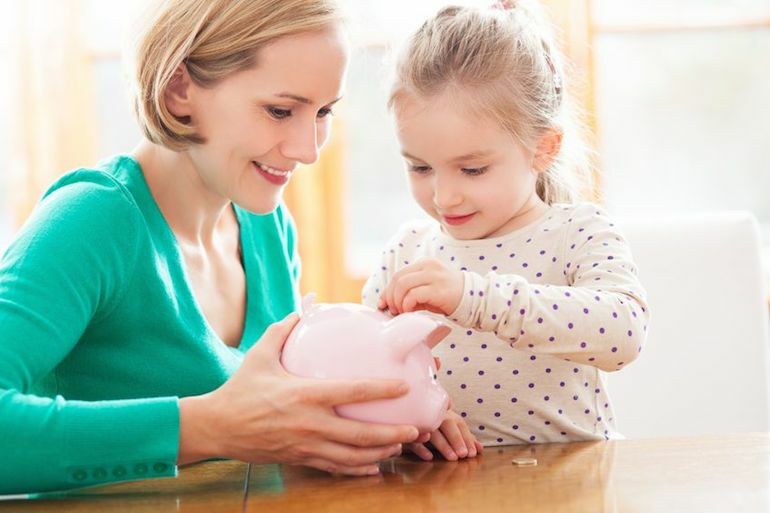 Successful money management is all about knowing how and where to spend your resources, so make sure you help your children understand that they'll need to make choices. If your child has £5 to spend in a week, and they want two things which come to £6, ask, "Which one would you like to buy?". Make it clear that if they want both, they have the option of saving for next week, but for now they should prioritise. It's not always a good idea to have a limitless amount of odd jobs available for your kids, but realising the rewards of hard work is a valuable lesson to learn. Have a set job for the week (i.e. washing the car, emptying the dishwasher) and explain that they can supplement their allowance by doing this job. If they want something beyond their means, explain that they will have to save up or earn the money through doing a job. This is a good way to introduce your child to the concept of paid work and how it can help them to save extra money for little luxuries.